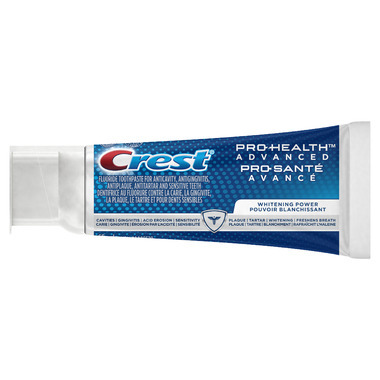 Advance to healthier gums and stronger teeth with Crest Pro-Health Advanced. 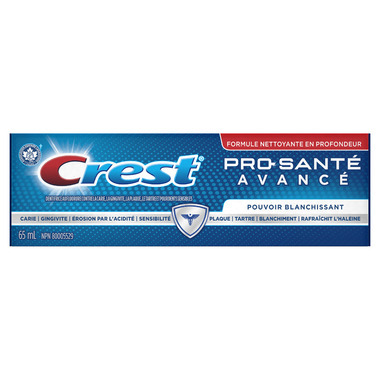 Crest Pro-Health Advanced Whitening Toothpaste strengthens enamel, and has the highest level of Crest Pro-Health's great whitening ingredient to clean surface stains. Fights plaque and gingivitis. Strengthens enamel.